Terry Lee McFall, 62, of Manila, passed away Monday, July 16, 2018, at his home. Terry was born in Manila to Vernon and Irene (Beal) McFall. 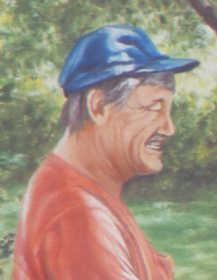 He was a retired truck driver and of the Pentecost faith. Terry served his country with honor in the United States Army. He was preceded in death by his parents; and two sisters, Ovie Ann Pierce and Ovie Earline Denton. Terry leaves five brothers, Larry McFall of Manila, Robert McFall of Monette, William McFall of Manila, Ricky McFall of Manila, and David McFall of Manila; and one sister, Regina Sue George of Manila. Funeral services were private. Cobb Funeral Home was in charge of the arrangements. Condolences may be expressed to the family at www.cobbfuneralhome.com.